Reg $24. 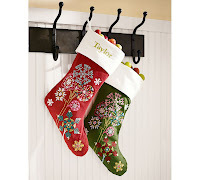 This is one of my favorite stocking designs this year. Monogrammable, too (is that a word?). From Pottery Barn.